Vietnam is often described as the most assertive opponent of China’s expansion into the 3.5 million-square-km sea since around 2010. It competes with China to reclaim land in the Spratly chain and has criticized Beijing’s control of the Paracel Islands, which lie east of Vietnam and southwest of Hong Kong. Relations showed initial signs of a thaw in September 2016 when Chinese Premier Li Keqiang and Vietnamese Prime Minister Nguyen Xuan Phuc agreed to manage maritime differences and improve cooperation. Vietnam showed signs of softening its approach toward China over their bitter maritime dispute, a move welcomed by nervous leaders in Beijing as it could rebalance Hanoi’s foreign policy away from Washington while cooling decades of strife. China is Vietnam's top trading partner. Vietnam is uniquely wary of China for historical reasons. The two sides fought a border war in 1979 and have reported three major clashes at sea. An incident in the Paracel Islands in 1974 sank a South Vietnamese navy ship with the captain on board, killing a total 71 from both sides. A 1988 naval battle left 64 Vietnamese dead. In 2014 Vietnamese and Chinese vessels rammed each other in the Gulf of Tonkin after China allowed an offshore oil driller to position a rig in overlapping waters. The oil rig incident sparked anti-China riots in Vietnam and left 21 dead. Despite agreement on the final demarcation of their land border and progress settling the maritime boundary beyond the Gulf of Tonkin, Vietnam and China made no evident progress in resolving the offshore sovereignty dispute in the South China Sea (or "East Sea" as the Vietnamese term it). Soon after announcing the completion of their land border demarcation, Vietnam and China convened the fifth round of talks to discuss cooperation, demarcation and mutual development in the Tonkin Gulf. Related discussions to resolve the South China Sea dispute, however, remained elusive. The 2002 "Declaration on the Conduct of Parties in the South China Sea" eased tensions but fell short of a legally binding "code of conduct" desired by several of the disputants. Vietnam continues to expand construction of facilities in the Spratly Islands. In March 2005, the national oil companies of China, the Philippines, and Vietnam signed a joint accord to conduct marine seismic activities in the Spratly Islands. The map drawn in 1595 by Van Langren, a Dutch map maker, showed that on the mainland of Central Vietnam at that time, besides remarkable Varella Cape, there was the coast named Costa da Pracel which was opposite Pulocanton (Cu Lao Re Island) in Quang Ngai Province. According to the Indochina Map drawn by Danvilleen in 1735, the distance from the nearest islands in Hoang Sa Islands to islands off the mainland belonged to Vietnam. This is also featured in a European maritime map in the 15th-16th centuries, in which Hoang Sa and Truong Sa Islands looked like pennons. Meanwhile, in an Asian map in the 17th century published by the Dutch East India Company (VOC), the area of Hoang Sa, on international trade lines at that time, was considered the key strategic position by Westerners. The old maps, testifying Vietnam’s sovereignty over Hoang Sa (Paracel) and Truong Sa (Spratly) archipelagos, include “An Nam dai quoc hoa do” (Map of the Great Country of An Nam) published in 1838, “Dai Nam thong nhat toan do” (Complete Map of Unified Dai Nam) published during the Minh Mang reign in 1834, and a 1904 map of Indochinese weather stations. Noteworthily, the Qing dynasty was unanimous in drawing maps which admitted an historical truth that Hoang Sa and Truong Sa Islands did not belong to China. A map published in 1904 under the Qing Dynasty provides yet more evidence against China’s territorial claim of Paracel and Spratly archipelagoes. The map “Hoang Trieu Truc Tinh Dia Du Toan Do”, measuring 115cm long and 140cm wide, depicts Hainan Island as the southernmost point in China’s territory and there was no mention on whatsoever of the archipelagoes or the nine dashed lines. When the Qing Dynasty released such atlases in 1908 and the Republic of China’s administration re-published these atlases in 1919 and 1933, Vietnam’s Hoang Sa and Truong Sa Archipelagos were not part of the so-called historical sovereignty of China. The same is true for the Postal Atlas of China, a product of the postal mapping set up by the Qing Dynasty in 1906 and subsequently used by the Republic of China (1912-1949). In March 1997 and November 2004, CNOOC set up its Kantan-3 survey rig around 100km from the Vietnamese mainland. In 2007 Chinese law enforcement ships were escorting an energy survey operation on the Vietnamese side of Triton Island, the closest Paracel Island to the Vietnamese coast. About 30 Vietnamese ships attempted to disrupt the Chinese operation, and China Marine Surveillance ship Haijian-84 was instructed to ram the Vietnamese ships. The offshore dispute continued to entangle multiple multinational energy companies, including U.S.-based ExxonMobil, Chevron, ConocoPhillips and Plains Exploration & Production. The year 2008 also produced the dispute's first major investment casualty, as BP notified PVN in November 2008 that it would seek to terminate its leases. In 2007, China warned BP that its activity in Blocks 5-2 and 5-3 in the Nam Con Son Basin, where BP had been leading a planned $2 billion integrated gas field and pipeline project with ConocoPhillips and Japan's Idemitsu, infringed Chinese sovereignty. The government of China did not directly threaten BP's expansive energy portfolio in China, but the implication was clear. The lease in 5-3 expired in December 2008 with the lease in 5-2 set to expire at the end of 2009, and there were questions whether the government of Vietnam (GVN) would renew the partnership given the ongoing delays and BP's significant economic interests in China. The protests by China led BP/CoP/Idemitsu to first suspend and then cancel the 2007 work season and transfer operatorship for the 2008 season to PetroVietnam to avoid missing critical deadlines. PetroVietnam proceeded to hire a Norwegian-flagged 3D/4D seismic vessel to carry out geophysical mapping and 3D seismic surveys during the Beijing Summer Olympics, which came and went without major new protests by China. Multinational energy firms from Russia, Canada and Japan were interested in taking over the BP leases, but the PVN made little progress in securing a new operator for the blocks. The official speculated that Vietnam was leery about inviting new participation for fear of provoking China. BP, which will take a $200 million loss on the project, has said its move is strictly a "commercial decision." Japanese Ambassador to Vietnam Sakaba recently told the Ambassador that Idemitsu would like to remain involved in the project but could not go it alone. ConocoPhillips held the right under its contract to either retain its 20 percent share or push for a majority stake in the blocks, including operatorship. The company, however, informed PVN in December 2008 that it too would divest its interest in the blocks. Nguyen Ba Hung, Director General of the GVN's Ministry of Foreign Affairs America's Department, subsequently complained to the DCM that CoP's action "sent a very bad signal all the way to the Prime Minister," given the PM's discussions with President Bush about the investment and trip to Houston in 2008 to visit CoP headquarters. The dispute continued to thwart other U.S. investments as well. In August 2007, Chevron suspended exploration in Block 122 near Nansha Island, 250 kilometers east of the Vietnamese port of Qui Nhon, after the Chinese Embassy in Washington warned Chevron and its Malaysian partner Petronas to halt activity. A Chevron official told us last week that Chevron had no plans to conduct physical work in the block in 2009 or 2010. The official said Chevron requested a contract extension from PVN to allow Chevron to fulfill its contractual commitments in 2011. China also warned ExxonMobil about its planned activity in Blocks 117-8-9 (offshore Da Nang) and 156-9 (located due east of BP's former blocks). ExxonMobil signaled that it planned to proceed and the company negotiated with PetroVietnam to incorporate all seven blocks under a general framework agreement. ExxonMobil had also been engaged in periodic discussions for more than a year with PVN to negotiate a deal for Blocks 129-132, before PVN unexpectedly awarded a 30-year operating lease to Russia's Gazprom in a direct bilateral deal on October 27, 2008. In August 2008, then-BP Vietnam General Director Gretchen Watkins complained that state-run Chinese oil company CNOOC and PVN refused to discuss the offshore disagreement during the two companies' regular commercial talks, and appeared to want BP to mediate or craft a commercial resolution to the dispute, a role that BP was unwilling to play. Japan encouraged the GVN to negotiate with China via ASEAN, but related offshore territorial conflicts between China and other ASEAN member states hindered the ability of the group to work together on the issue. In mid 2012 the Chinese National Offshore Oil Corporation (CNOOC) issued an invitation for bids for nine lots in the East Sea. These lots are situated within Vietnam’s exclusive economic zone and continental shelf, around 13 nautical miles from Vietnam’s Phu Quy island at the closest point and around 60 nautical miles from Vietnam’s shore. Vietnam strongly protests and requests that China cease the invitation of international bids for 09 oil and gas lots within Vietnam’s exclusive economic zone and continental shelf, said Foreign Ministry spokesperson Luong Thanh Nghi on June 26. Vietnamese immigration officials refused to stamp new Chinese passports that include a map illegally claiming 90 percent of the East Sea belongs to China. Instead, Vietnamese officials, including those at Noi Bai International Airport in Hanoi, have stamped only loose-leaf or paper visas that were not attached to Chinese passports. 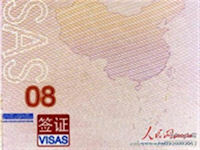 In fact, most recent Chinese visitors to enter Vietnam via Noi Bai held loose-leaf visas that can be obtained without applicants submitting their passports to the Vietnamese embassy, but a copy of the passports' photo and personal detail page. Meanwhile, according to the Border Guards Headquarters in the northern province of Quang Ninh, Chinese with the new passports were still allowed to enter Vietnam via the Mong Cai international border gate. But, Vietnamese officials were not stamping the pages of their passports that contained the infamous nine-dash line printed on Chinese maps to assert China’s territorial claim over nearly the entire East Sea, the headquarters said. 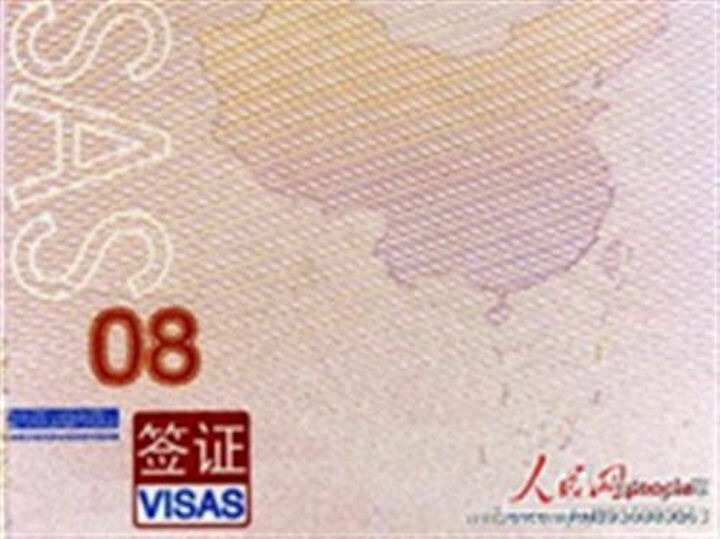 Provincial border guards also issued Chinese citizens forms to apply for loose-leaf visas so they would not need to stamp Chinese new passports, it added. The third Vietnam-China strategic defense dialogue opened in Hanoi September 04, 2012. With a frank and constructive spirit, Vietnamese Deputy Minister of Defense General Nguyen Chi Vinh and Chinese Senior Lieutenant General Ma Xiaotian discussed East Sea related issues stressing the importance of solving the problems. General Vinh said solving this issue will be very difficult, very sensitive and time-consuming requiring good will and strong efforts by both sides. Vinh expressed his hope that with goodwill, and the spirit of traditional friendship, mutual respect, publicity and transparency, the two sides will find measures that both comply with international law and meet the legitimate interests of the two countries. An official welcoming ceremony was held June 19, 2013 for visiting President Truong Tan Sang and his entourage in Beijing’s Great Hall of the People. The two sides frankly discussed and agreed to maintain regular exchanges and dialogues on maritime issues, strictly implement the agreement on basic principles guiding the settlement of sea-related issues between Vietnam and China, resolve disputes through peaceful manners, seek and exchange fundamental and long-term solutions that are acceptable to both sides. They also agreed to appropriately resolve arising problems to avoid influencing the fine development of the two countries as well as peace, stability in the East Sea. The two sides agreed to effectively implement the Declaration on the Conduct of Parties in the East Sea, and work together to maintain peace and stability in the East Sea. In the future, the two sides will mount cooperation on less-sensitive marine fields. This year, the two countries will carry out one to two projects of the three agreed projects including the projects on search and rescue at sea, marine environmental management and science research on the Gulf of Tonkin, and the research on comparison of Holocenne sediment in the Red River Delta and Changjiang River Delta. President Truong Tan Sang underlined the fishing industry which relates to the lives and interests of millions of Vietnamese fishermen. He urged the two sides to enhance collaboration to appropriately handle these issues to ensure the interests and legitimate rights of fishermen. Mr. Sang asked the Vietnamese Ministry of Agriculture and Rural Development and the Chinese Ministry of Agriculture to work closely and take full use of the hotline to handle arising issues relating to fishing activities at sea. In April 2014 China set off a bilateral dispute with neighbor Vietnam by positioning an oil rig off the Paracel Islands and within Vietnam’s exclusive economic zone (EEZ). The incident may be in some ways unprecedented as the first time China has attempted to drill for hydrocarbons in a disputed area of the South China Sea. This sparked bilateral tensions including anti-China rioting in Vietnam, and confrontations between Chinese and Vietnamese vessels near the rig. High-level talks in Vietnam failed to resolve the dispute. Indian President Pranab Mukherjee wrapped up a four-day state visit to Vietnam on September 17, 2014. During his stay in Vietnam, both sides signed important deals in the sectors of defense procurement, air connectivity and oil exploration, including a letter of intent between the ONGC Videsh and Petro Vietnam for oil exploration in two locations off the Vietnamese coast. Beijing said it will not recognize the oil deal because the agreement involves territory China claims as its own. Carl Thayer from the Australian Defense Force Academy says in an interview with VOA's Vietnamese service that the objection by Beijing will not disrupt the oil deal. "India is not going to pull out because of Chinese pressures. There’s little that China can do unless it wants to resort to physical intimidation and try to disrupt the oil activities itself, which would open up [new problems]," said Thayer. China and Vietnam reached consensus on developing bilateral military relations on 17 October 2014 17, pledging to properly handle their maritime disputes. The discussion took place between Chinese Defense Minister Chang Wanquan and his Vietnamese counterpart Phung Quang Thanh in Beijing. During the talks, both sides decided to gradually resume and promote the healthy and stable development of bilateral military ties. Both sides' armed forces should enhance solidarity and provide a strong guarantee for the governing status of the communist parties of the two countries and the cause of socialist construction, a statement said. The two sides agreed to abide by the consensus reached by both leaders and play a positive role in dealing with maritime disputes and safeguarding a peaceful and stable situation. Vietnam carried out significant land reclamation from the disputed South China Sea, according to satellite images taken by the Center for Strategic and International Studies [CSIS] in April 2015. The pictures reveal land expansions at Sand Cay and West London Reef, both part of the Spratly Islands, one of the sea's major archipelagos comprising more than 30,000 islands and reefs. In its report accompanying the imagery, CSIS said, "Between August 2011 and February 2015 significant upgrades were made to [the island of Sand Cay]," adding that its land mass had expanded from 41,690 to 62,970 square meters, and now boasted "defensive structures" such as trenches and gun emplacements placed there by the Vietnamese. Vietnam's President Truong Tan Sang publicly rejected sovereignty claims by Chinese President Xi Jinping over disputed islands in the South China Sea. Speaking at the Asia Society in New York 28 September 2015, President Truong Tan Sang made a forceful case for Hanoi's claim to the chain, known as the Spratlys in Vietnam and Nansha islands in China. The Chinese leader, who just completed a state visit to the United States, including a speech to the U.N. General Assembly, recently told the Wall Street Journal that “the Nansha [Spratly] Islands have been China’s territory since ancient times." Vietnamese officials have long been criticized by bloggers and other dissidents for being submissive in territorial disputes over the South China Sea. Beijing’s relations with former regional allies continued to deteriorate as Chinese regime steadfastly continued development efforts throughout the South China Sea. On 07 April 2016, Vietnam criticized China over the location of an oil rig, calling on Beijing to abandon plans to drill in contested waters, in the latest sign of regional unease. The $1 billion oil-extraction structure, which led to a diplomatic standoff between the two countries in 2014, was moved by Beijing to the Gulf of Tonkin in the South China Sea, despite Vietnamese claims that the countries still needed to "execute delineation discussions." In a statement, Vietnam’s Foreign Ministry spokesman Le Hai Binh said: "Vietnam resolutely opposes and demands that China cancel its plan to drill and calls on China to immediately remove the Hai Duong 981 oil rig out of this area." By the end of 2016 Vietnam had done landfill work on 27 South China Sea islets, more than any other claimant, though China’s land reclamation is grabbing more headlines.